Upon his induction, Edward Gonzales received training in New Jersey. He was assigned to the 28th Infantry Brigade known as the "Blood Bucket." After service time in England, he was sent to the European mainland, He was wounded by a fragmentation grenade and was later reunited with his unit. Edward saw combat action at the infamous Battle of the Bulge. On Dec. 24, he was captured and held in a German POW camp in Bad Ord, Germany. He and others were liberated in April 1945. He later participated in the New Mexico Air National Guard during the outbreak of the Korean conflict, It was determined that he had shrapnel remnants in his body (received during WWII) and he was honorably discharged. He moved his family to California for a new life. He lived long enough to see most of his eight grandchildren reach adulthood. He passed away in 1988 followed by his wife Nancy in 1990. 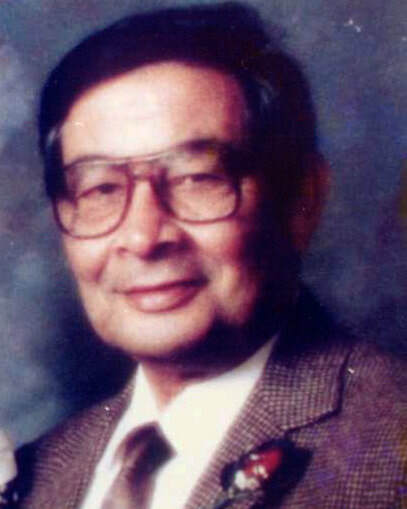 Edward Gonzales moved to Lakewood in 1952 and lived on Vangold Avenue until his death in 1988.